Government Lawyer Says Puerto Rico's Hurricane Response Plan 'Does Not Exist' For months, Puerto Rican officials have said their government is ready for another hurricane. But the part of its emergency response plan dealing specifically with hurricanes hasn't been completed. A year after Hurricane Maria touched down in September 2017, the island is still recovering. On Tuesday lawyers for the government admitted they had not yet overhauled the island's emergency response plans for the next major hurricane. "The agency is still working on those plans," the attorney, Tania Fernández Medero, told a judge overseeing a lawsuit seeking to get the government to release the plans. She said the government was still assessing proposals from private companies, "so that it can hire people who specialize in producing those types of emergency response plans. So, as of today they aren't available. As of today, they don't exist." 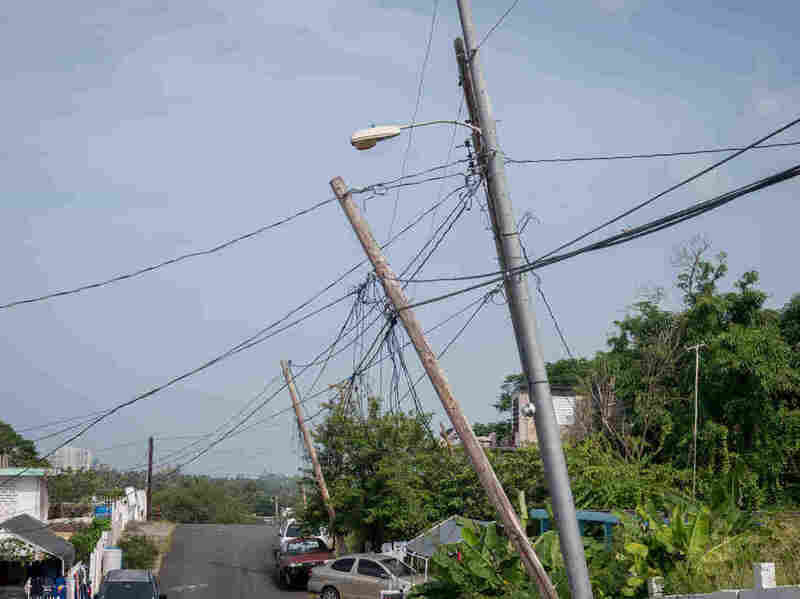 Days after Rosselló's announcement, the head of the Puerto Rico Emergency Management Agency, Carlos Acevedo, told a committee of Puerto Rico's Congress that, should a hurricane of similar magnitude strike, "we're confident that our government's response will be very different." In fact, the plan that his agency had completed was a general one, designed to guide the government's response to a broad array of emergencies. The government finally released that plan Monday evening following weeks of delays and repeated requests from journalists, including from NPR. It released the plan on the eve of the first court hearing in a lawsuit filed by Puerto Rico's Center for Investigative Journalism seeking to compel the government to release it and other documents. What was not publicly known until Tuesday's hearing was that the general plan — called the Joint Operational Catastrophic Incident Plan — did not yet include supplemental sections for guiding the government's response to specific types of disasters, like hurricanes. "This plan will include further plans for specific situations," Fernández told the judge. "For example, earthquakes or hurricanes." "Since you have to hire a company to prepare those documents, should we assume that the documents don't exist yet?" the judge asked. "They do not exist," Fernández responded. "What the agency has, it has released." Carla Minet, director of the island's Center for Investigative Journalism, suspected this all along. She said that the government's refusal to release its emergency response plan despite publicly saying it was complete had driven her to believe it might not be finished. That's why she sued. The government's admission in court Tuesday – five months into Puerto Rico's hurricane season — confirmed those suspicions. "We thought we were safe," Minet said. "We were not." Calls to Puerto Rico's governor's office and to the Puerto Rico Emergency Management Agency were not immediately returned.